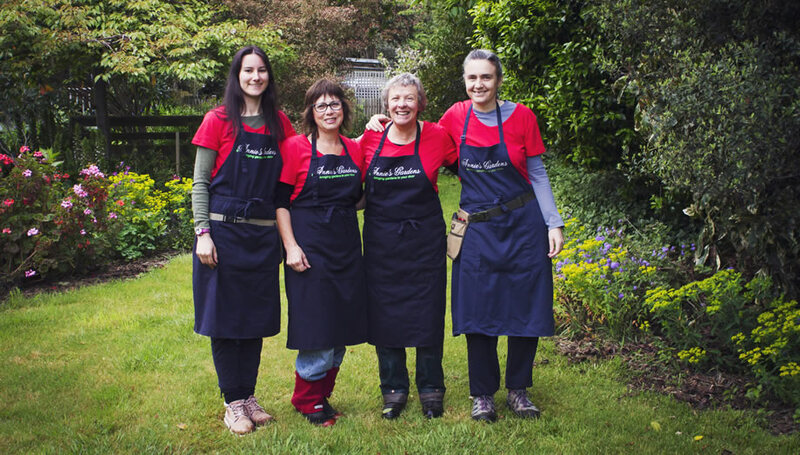 We currently have three regular team-members, Dilly, Libby and Hannah who are passionate about gardens and whose particular focus is garden care and planting for landscaping projects. During busy periods, Maura and Piers come on board. Ian of Green Genie is our expert hedge trimmer, and is available for lawn mowing. Larger landscaping projects are accomplished with Pete and his team at Paveway Landscaping. Gary of Kapiti Nursery provides the manpower and plants for larger eco-planting on lifestyle blocks. Craig and Monkeyman Trees is my go-to guy for high pruning and tree and stump removal.